I asked Keiichi if he would find a famous Japanese Keiryu angler for me to ask a few questions. His choice and suggestion was excellent, Katsuaki Okabe, a Keiryu angler/writer and his work is found in Japan’s “Headwaters” magazine. Speaking of Headwaters, I love that magazine! I think it is my favorite. I can’t even read it but that is ok, the pictures, the diagrams and images come through and I can see how focused it is on my favorite type of fishing. And now that I have been to Japan, it is even better for me. So without further delay, here we go. Adam: Okabe-san, thank you very much for accepting my request for an Interview. I am a long time fly fisher in the Southwest of America. I have been practicing Tenkara for about five years now. I really like it and now I do a little Keiryu too. I must tell you, it was hard at first to start with Tenkara. Many of my fly fishing friends think I am crazy (I am. I am crazy about fishing) to go back to “cane pole fishing” which is what many Western Fly Fisher’s think of Tenkara. What they don’t understand is that I really enjoy Tenkara and Keiryu just as much if not more than fly-fishing. Okabe-san, I have also been making web sites on small stream fly fishing since the mid nineties. That is a long time as far as the internet goes. 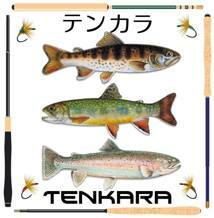 My web site now, www.tenkara-fisher.com is where your Interview will live. This site is now five years old. I am fortunate that I have a lot of interviews of great mountain stream fishers. I think you will like the list that your Interview will become one of. Katsuaki Okabe: I was born in Tokyo, but I live now in Iwate in Tohoku region. When I was little kid, my family first moved from Tokyo to beautiful country side of Miyagi, south next to Iwate. At that time there, we were surrounded by rich nature and our life and children’s play were engaged with the nature. Among a lot of children’s play I was especially crazy about fishing. To say fishing, it was just coarse fishing for crusian carp or chub in the pond or small stream nearby home. I was very much interested in crusian carp. There are silver crusian carp or golden crusian carp in particular ponds or stream. We were absorbed in fishing until sunset. We used earthworms or steamed rice as baits and used small flies for chub and pale chub. I think there was not certain reason of starting fishing, fishing was just there familiar to us. I remember we took the fish home, and grandmother or grandfather cooked them. It was age like that. I learned fishing, like how to make line system or how to get baits from elder friends living in the neighborhood. When I grew up big enough, I made every fishing tackle by myself. As for fishing rod, I cut a bamboo in the bamboo forest behind our house and made it fishing rod. When I was 13 years old, I asked parents to purchase a tent. It was an old fashioned yellow triangle tent, but I enjoyed camp fishing at the river near the house. Then I was first time taken to mountain stream fishing with an elder friend by his motorbike. It was my first mountain stream fishing. I was then 17 years old. I am now 59 years old and still my most favorite fishing is mountain stream fishing. I especially look for giant iwana in Genryu area. I would like to continue fishing until I can no longer walk in the mountains. I also do Ayu fishing but it is the fishing on business asked from the Izakaya (Japanese style tavern). I fish iwana from mid-April and ayu from July. Adam Trahan: I love the different Keiryu rods, there are so many with different profiles, flex patterns and they are strong! I have come to like Shimano because of the quality of the brand through out many different fixed line disciplines. I have friends that use Daiwa and others that use Nissin but I like Shimano, to each his own. Katsuaki Okabe: The main rod I am using for iwana fishing is ex-model of Shimano Genryusai NR 7.00m. This rod is different from present models in action. It is extra-hard main stream rod for big game fish more than 50cm. I of course choose the rod according to size of fish and size of stream. I take a light weight fine rod for small stream and small fish, and a strong rod for big stream and big fish. If you use a long rod, naturally line system becomes long and it is hard for beginners to cast the line avoiding obstacles. So I recommend beginners to start with shorter rods. I normally use quite a long line system and do over-head casting. I think you beginners should experience to take care of the long rod and the long line system. Now I want a 8.00 to 9.00m long strong pack rod to fish over 60cm iwana in the River Yakuwa, but it is really too maniac and no company develops and produces such a rod. May be no fisher or tester look for such giant iwana. Adam: A friend of mine introduced me to the Tenjo line system. I like the idea. Right now I just do a simple fixed line length from the tip to the hook, a .8 line with three yarn markers, some split shot then the Keiryu hook. Katsuaki Okabe: I use both Nylon lines and fluorocarbon lines, but mainly nylon lines. I change line No. and length of line system depending on size of fish I expect. I normally use No.0.4 up to No.1.5 lines as suichu line (main line). I also use tenjo line too. I make my tenjo line from reasonable and flexible 4lb lure line in visible fluorescent green. I use my own invented markers which is called one-side knitting markers. I use fluorescent green, fluorescent pink and fluorescent orange from the underneath. I also choose sinker depending on Scale of rivers and depth of the points. Size of split shots I normally use is from B to 5B or sometimes use multiple. I use tenjo line to save suichu line length and also to protect the rod. For instance in case I miss-hooked the tree, the joint part of tenjo line and suichu line breaks first. I do not use tenjo line when I expect over 50cm (We call 50kami.) iwana because the joint part might be broken by strong fight of giant iwana. It is better to use mono line system for fishing giant size trout. I of course decide hook size depending on the size of iwana from No.7 to No.11. My favorite hooks for giant iwana “Shaku Iwana” of Owner or “Masu” of Gamakatsu. Adam: What about bait? I use different types. Salmon eggs, meal worms, earth worms and sometimes Tenkara Kebari or sub surface fly fishing nymphs. I use both bait and Kebari for Keiryu. Katsuaki Okabe: My main bait for keiryu fishing is mimizu (Earthworm), Especially big earthworm we call “Doba-mimizu, but I do not take earthworms in a red tin (Like bait fisherman in River Runs Through It.) I am sorry it is a joke. I use nymphs in early season when I can not get good Doba-mimizu. I do not purchase mimizu. I get them from my cultivation. Every year in about May, Earthworms are naturally occurring in the grass by the cultivation. I catch them and keep in a pile of the grass clipings, they grow up very big in there. My cultivation is pesticide-free, it grow fresh and safe vegetables and also good Doba-mimizu. It is “kill two birds with one stone” for me. When I go fishing I take Doba-mimizu from the pile in a styrene foam box with wet grass (Their bait). I put refrigerant in the box if it is hot day. In the stream, I put necessary amount of mimizu in a bait box. Earthworm is a favorite food of moles, are often plagued by damage of the moles. Anyway Doba-mimizu is the best bait for big iwana. It is totally different from ordinary mimizu. I also do tenkara fishing several times a year. I have Daiwa’s 4.5m tenkara rod, Yuzo Sebata-san used, and the condition is like new rod. This rod is great rod, we can use it as bait fishing rod. I make my original parachute flies. I also make 4.0m to 9.0m tenkara lines from Double taper fly lines. May be my style is mixture of tenkara fishing and Fly fishing. I cast on both left arm and right arm depending on the state of obstacles. Adam: Here in America, we are barely scratching the surface of Keiryu. We have a couple of people selling rods and the information on what to use is limited to just a couple of English resources that are interpreting the equipment from afar. It is driven more by what the salesmen has in stock or what he can get. There are no English language magazines or books to show people the various techniques or equipment. Now we have Keiichi and www.Tenkaraya.com for our Tenkara and Keiryu needs. His stories of genryu are epic and we get an education on the different forms of Japanese fishing from someone that has been doing it their whole life in the Japanese Alps. Keiryu rods have had a long time to develop and lots of anglers fishing them. The system has had the test of time and people have had input into the design. The rods are very good. Katsuaki Okabe: I have just one idea about the action of the rod. I think actions of rods are fixed by the sections from tip to 5th section. So if the manufacturer produces some different actions of 5 sections set, we can change the actions depending on the target fish or situation of streams. This idea can help us in case we break those sections. Of course the price of the rod must be more expensive than ordinary rods, but cheaper than buying 2 rods. I also guess there will be high-tech rod like all made of titanium. It must be incredibly expensive rod but some rich people will probably purchase it. It must be Ayu rod firstly. Some of valuable rods have equipped titanium tip but all titanium rod sounds crazy. If it is 10.0m Ayu rod, it might cost more than US$10,000. Adam: There are some anglers here in America that are using Tenkara and Keiryu rods to go after carp. They use these rods because Hera rods do not cast or protect the line like a Tenkara or Keiryu rod does. They are even calling their version, “Tencarpa” and it is interesting to me. I don’t do it that way; I use a Hera rod for carp. 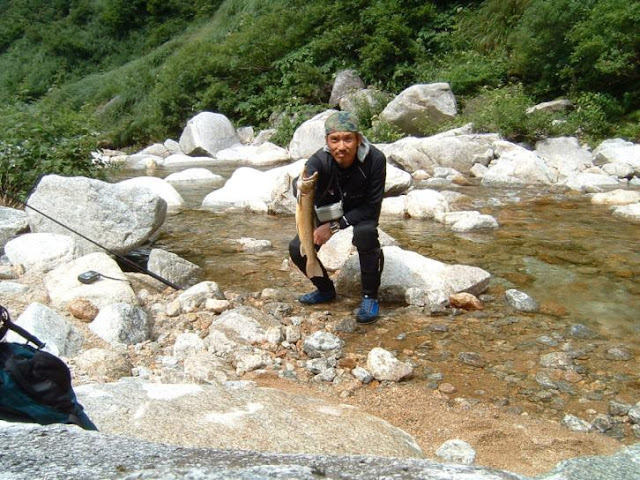 Katsuaki Okabe: There are anglers who use Hera rod for tenkara fishing rarely. Those people say they like that flexibility of Hera rod gives good casting feeling. They also say handle of the Hera rod is thick and good to grip. I personally think it is OK to use any rod for any fish. I do not deny because there is a possibility that born new ideas from there. Some strange way of fishing might be a standard fishing style in some years. Nowadays it can be possible to make a big boom with a bit of idea. I use an old keiryu rod for saltwater fishing like fishing horse mackerel or small fish from the embankment of the harbor. I think keiryu rods match small saltwater fishing around the breakwaters of the harbor because keiryu rods are very sensitive and we can catch little bites of small fish easily. I like fishing small fish in the sea. I always bring saltwater fish home and eat them. I once saw a young guy doing fly fishing but using real bread as a bait. It kind of took me by surprise. 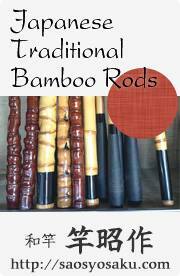 We have “Banno-Zao” which means versatile rod. We use this kind of rods for carp, mackerel and any other fish. I do not know whether you have same type of rods in USA or Europe, but if you do not have such rods, I recommend you to produce and sell those kind of rods in USA and Europe. Those rods are very reasonable and easy to use. The company called OGT produces good and reasonable Banno-Zao in Japan. Adam: I personally do not care for mixing equipment. It does not matter to me the way someone chooses to fish. I am focused on what I do. What I am writing and focusing on here is Keiryu. I want to be accurate for the people that read so I hold the bar high for myself. If someone wants to use a Tenkara rod for carp, none of my business but it is not the way I do it. then again, I am not a carp specialist either. But let’s return to Keiryu and in particular, genryu fishing. Keiichi-san has been teaching us about genryu fishing through a series of stories at Tenkara-Fisher. We are now up to the sixteenth installment. It is a fascinating story because genryu involves many different parts of sports. Some people just do one thing but genryu is many things. 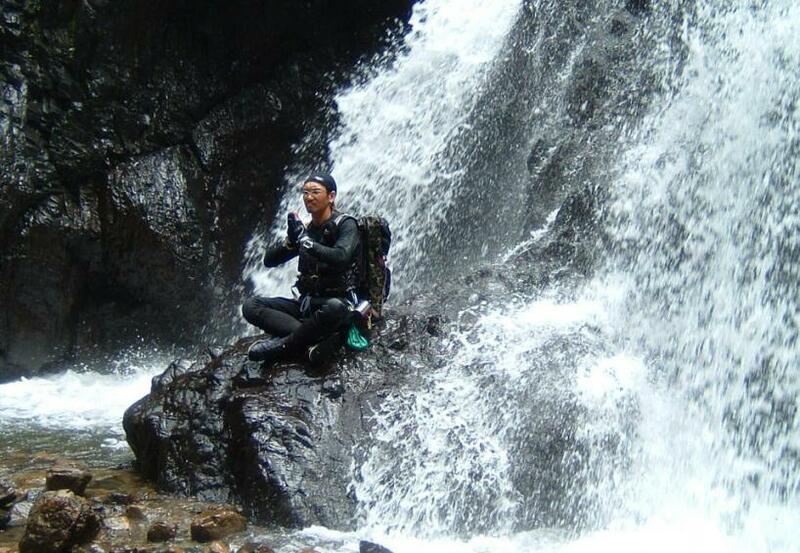 It is part sawanobori, climbing, orienteering, backpacking, camping and ahhh, fishing. 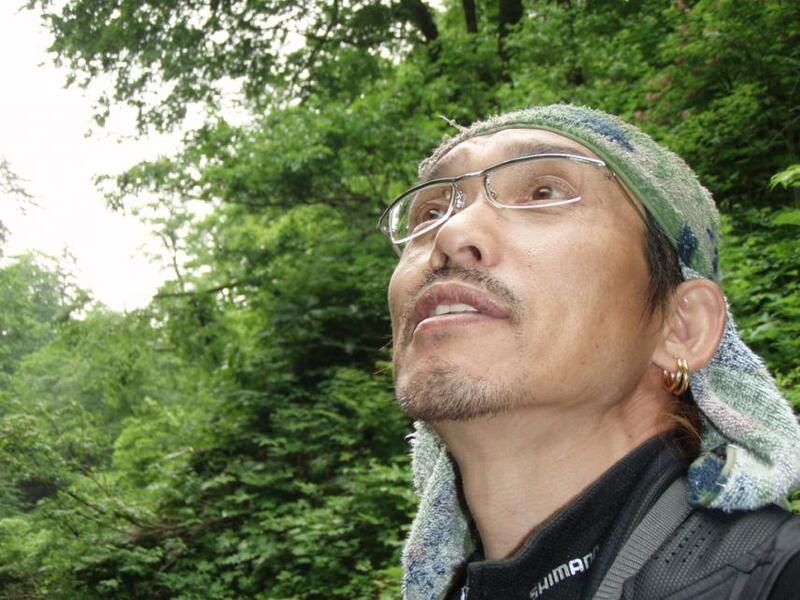 Katsuaki Okabe: I love genryu fishing camp setting tarp in a beech forest of river terrace and having bonfire at night. 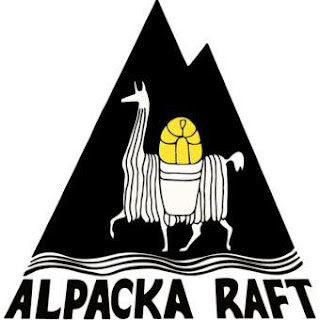 I take rice and alcohol and stay normally 1 or 2 nights but sometimes 3 or 4 nights. I often go alone, so I take a light weight tarp and a zelt or only blue-sheet for accommodation. 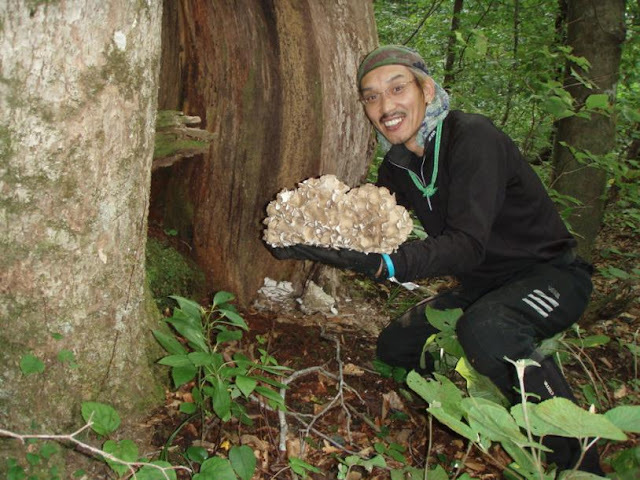 Especially autumn is the best season for me because it is the time we can find very valuable mushroom “Maitake” and catch giant iwana at the same time. Sometimes I enjoy genryu fishing camp with good friends. It is very nice recreation to have drink with those fellows in the mountains, not like solo fishing camp which is covered in greed. I also like photographing. I forget the time when I am taking photos of iwana or landscapes of the headwaters beautifully changes with the seasons. Adam: Our streams are typically not as steep as yours, we do very little sawanobori in America but we do have slot canyon streams where the rock walls of the stream are so steep, you must swim up the stream to get higher upon it. Most of the time, the stream is in a valley and if it is steep, there are large rocks and boulders where we must scramble up or climb around. We hike up these valleys and we pitch our tents. There we set up our fire, our kitchen and share in the stories of the day. Some make shioyaki or some other meal. We are learning about Japanese fishing and those that are really into it carry on the interest to the camping. 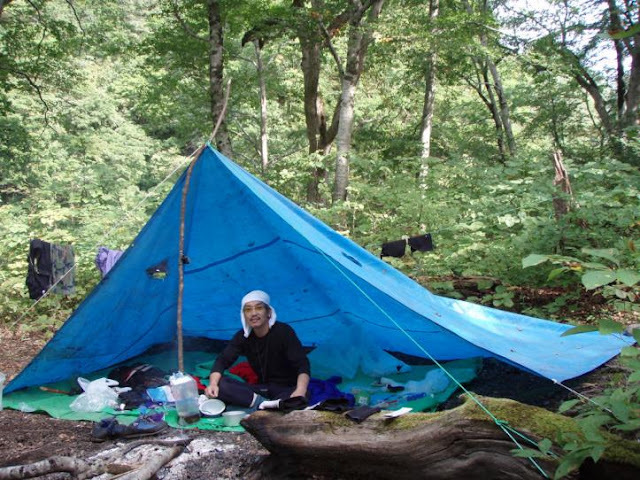 Katsuaki Okabe: My meals at genryu camping differ when I am with friends or alone. If I am alone, I only take a small burner and pots and cook very simple meals, but when I am with friends, we cook much nicer meals for dinner. Now I introduce some of my favorite menus of genryu camping. In about June, Iwana become very fat and it is good to have them as sashimi or sushi, but I only make sashimi or sushi when we catch fat iwana and we can get wild wasabi in the stream. Wild wasabi grown in the stream is very tasty and good for sashimi or sushi. Those are the best menu for drink at genryu probably. 2. We must have sake (alcohol) for camp dinner, and my most favorite is “Iwana no Kotsuzake”. Put plain grilled iwana into hot sake and have it all. Traditionally anglers think this is kind of mass act for iwana. We also boil up Gara of iwana(The head and bony parts left after a fresh fish is made to sashimi) to remove the harsh taste and make miso-soup with them. It is our duty to use every part of iwana. 3. In the summer, I take pesticide-free home grown vegetables and cook summer vegetable curry and rice. This is very popular menu among my friends. We also make sansai rice (Steamed rice cooked with sansai) too. As it is hot in a daytime, we cook Somen (Cold thin wheat noodles) for lunch and eat with home grown vegetables as seasoning. May be with rice balls too. 4. In the autumn, when the temperature is getting cool, there are many mushrooms growing in the forest. Previously described “Maitake” can be found in Tohoku area from around the mid-September. Maitake is very difficult to find but if we get maitake luckily, we cook tempra and maitake rice (Steamed rice cooked with maitake). I sometimes work as fishing guide and take anglers to genryu camp, then I always cook some of the captioned menus using ingredients of grace of the mountain. Basically Japanese menus. We try to take ingredients as light as possible, so to get some more ingredients in the mountain is a good idea. We make bamboo sake glass using about 10cm diameter bamboo. Cut the bamboo remaining one section wall as the bottom and cut the top at a slant. Boil the bamboo for about an hour to remove the harsh taste. Remove the inside skin too. Dry the bamboo glass well and take it to genryu. Take out organs from iwana and grill well. No seasoning and no smoke. We call this style “Suyaki”. Put male and female grilled iwana into the bamboo glass and pour hot sake. Leave for about 5 minutes. Pour little by little to glasses and taste fragrant flavor of grilled iwana and bamboo smell. You can make about 900cc at one time. Katsuaki Okabe: Nowadays in Japan, beginner anglers, who have not mastered basic techniques, purchase long rod like 6.0m rod right away and start learning. In our generation, we started from short rods like 4.0 to 5.0m and master casting or landing, then move on to longer rods, 5.3m and then 6.1m. So I still now think beginners should start fishing with short rods first. I recommend little bit hard rod like kocho rod which beginner can cast and handle easily. When the multi length rod was produced, we were so impressed. Shimano called zoom type. Now many companies sell this type of rods. It is really ideal for genryu fishing. As for line system, it is up to personal preference, but I think simple mono line system is OK for genryu fishing. I use 1Go(No.1.0) tenjo line, 0.6-0.8(No.0.6-0.8) suichu line(Main line), markers, sinker and hook. Important point is the length of the line system. You should test your line system before you go fishing. I think you should arrange length and line No. depending on the size of stream and size of fish and make up your standard. You should start from short line system and make it longer according to the situation of the stream. My line system for middle or small stream is tenjo line han hiro (About 1.0m) and suichu line 2 hiro (About 3.0m) total length is about 4.0m. It is for 6.0m – 7.0m rods. This is my standard line system for iwana fishing in middle or small streams. If the stream is bigger, I set the longer line system. We may be able to adjust the line length up to 1.0m using adjustable tenjo line. This tenjo line system is popular in ayu fishing, but we can use it for keiryu fishing of course. Adam: In America, our fly fishing magazines are so filled with advertising. I understand that the magazine is a business but the advertising is a part of the problem for our fishers, especially the new anglers. Most of our advertisements show our anglers dressed up in the most expensive vests, waders and carrying rods and reels that are very expensive. Of course it is the responsibility of the reader to choose his equipment and style responsibly but I see a contrast in comparing our magazines to yours. Headwaters Magazine is printed on quality paper. The design is extremely aesthetic and the advertisements are far fewer than in our magazines. The anglers in the articles seem to be less concerned with fashion and more focused on fishing. There are diagrams of the fishing rods in nearly all the articles and it appears that the article is a story combined with guidance in how to fish on that section or that stream. Katsuaki Okabe: As a fishing writer, I am honored to have been writing articles on “Keiryu (Headwater Magazine)” because it is the most famous magazine for genryu fishing. I met one book about keiryu fishing when I was very young, and I had been longing for writing such articles for published matter since then. I was very happy this dream came true. I did not have a teacher of fishing and do not have students that I will inherit my techniques. I feel I must hand down my experiences and techniques to young generations of keiryu fishing, but in fact it is very difficult to meet such young anglers who are crazy about keiryu fishing. I think technique of fishing is just like a traditional craftsmanship that we can bring down to the after ages. I try to write my article to extend such thoughts to leaders. I appreciate Sebata-san and other people who gave me the opportunity to write articles for fishing magazines. Adam: I aspire to write in a magazine such as Headwaters, it would be an honor. I like books, particularly books written in your country. I have many books by Yamamoto Soseki, Hiromichi Fuji, Hisao Ishigaki, Kegu Horie, Kazuya Shimoda and many more. Katsuaki Okabe: As I said, I did not have a teacher of keiryu fishing. My fishing has been all self-taught. I studied with fishing magazines or books and gained experiences with solo fishing. I continued it times and times. One day I met the book “Iwana ni Tsukarete”(Under the spell of Iwana). That was the book written by Mr. Minoru Ueno. Shock ran through whole body when I found the book. I though the title of the book was just me at that time who was crazy about genryu iwana fishing. I think that book is still my most favorite book. I studied fishing with books and magazines but I never did exactly same way those books instruct. I always studied out my original methods from the ideas of the books. Now I think I spent enormous time and effort and may be money too. When I first read “Iwana ni Tsukarete”, Mr. Ueno was very famous genryu fisher and the person far higher than us, but some years later I met him by chance and could go fishing together few times. It was very important experiences for me. Mr. Ueno published series of books about genryu fishing “Yamazuri”, and I wrote an article for the book. It was my debut as a writer. This series went Ver.3 but discontinued now. Afterwards I brush up my keiryu fishing more and more. One day I was caught up with giant iwana in Asahi Renpo(Asahi Mountain Ranges) and still looking for my dream iwana there. It has been 42 years since I started keiryu fishing at 17 years old. I think my keiryu fishing is far from finished. Katsuaki Okabe: I only write for “Keiryu(Headwater magazine)” at the moment but used to write quite a few of articles for same publisher’s magazine “Monthly Tsuribito”. Mostly about genryu iwana fishing. I also wrote the article for a photo book “Zekkei Nihon no Tsuri” by Ken Tsuruzaki. Adam: I recently received a book/magazine, I think you guys call it a “mook” and it is really cool. It has a DVD in it. It’s one of Kazuya Shimoda’s media and the DVD is really good. I used some of his videos a few years ago to augment my learning of Tenkara. I like the way a DVD can teach people, it’s a really good tool to share and learn a whole lot about what you want to do. Katsuaki Okabe: If I am offered to write for a book or a mook, it is pleasure for me but to accept or not is depending on the content of it. Adam: It’s really quite an honor for me to be able to ask you a few questions about Keiryu. I am still in my beginning phase of it. So for me to speak with you about this so early on, I feel lucky. 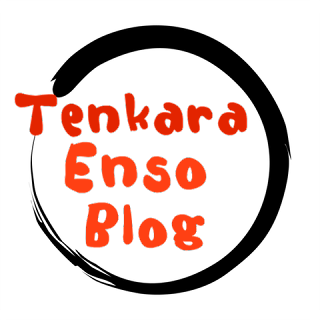 You probably have an idea of where I am going with my Tenkara and Keiryu from a little bit of the story I told in my questions to you. I have a entry level Shimano Keiryu rod, the Tenpyo, a nice net and a good bait box and all the tackles that go with it. I take time out from my Tenkara to do a little Keiryu just to enjoy it and understand it. I would really like to become good at it but Tenkara just keeps my attention so much. Katsuaki Okabe: You say that you would like to do both tenkara fishing and keiryu bait fishing. I do not know well about conditions of streams in USA, but I think you can do both fishing. Actually we bait fishers sometimes do tenkara fishing when bait fishing is not good. We use a bait fishing rod with short line. We use both dry and wet flies. 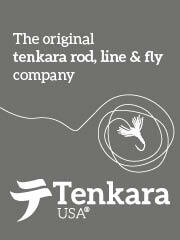 Nowadays we can easily get tenkara rods, so we do not see anglers doing kebari(Fly) fishing using bait fishing rod. In June to July, Iwana and yamame chase kebari very well. So it is good idea to take a bait rod and a tenkara rod to streams. In the shallows iwana chase kebari well and you can brush up your Tenkara fishing, and in the deep pool Bait fishing is much more effective and you have a chance to catch a big iwana. In the summer, It is very difficult to keep fresh baits, even earthworms are not in a good condition. Such season kebari is very useful and handy. So I think we should enjoy both fishing to suit the season and weather. To master such a style, you need to go fishing over again and again and complete your style and your fishing sense according to the seasons. It is very important part of the fishing techniques. Adam: Thank you very much Okabe-san, I really appreciate your attention and kindness. Please know you have a fan over here across the Pacific Ocean that really likes what you do. “I would like to offer you this opportunity to say anything that you want to our readers. Katsuaki Okabe: I am sorry to have my greeting now at the end. Thank you very much Mr. Adam Trahan to offer me, just a mere angler, this interview opportunity from the United States. I also appreciate Mr. Okushi for translating this interview. Firstly I am very pleased to know that the Japanese keiryu fishing has been recognized as one of Japan's culture in USA and Europe. My favorite keiryu bait fishing for giant iwana can be a challenge to the size limit of fish that can be fished by a keiryu fishing rod, and it must be iwana living in the deep mountains. I say it must be over 50cm. We overnight in the mountain stream for some nights may be alone just seeking for the dream fish, but I think fanatic anglers doing this kind of fishing are decreasing now. I think origin of bait fishing and fly fishing was same. Both were keiryu fishing. I guess some fisher was doing bait fishing and run out of the bait, then he made a fly or conceived an idea of fly. It is like hunters use guns or traps. Long time ago, fishers caught iwana or yamame as the valuable source of protein. They did sometimes with bait fishing and sometimes with tenkara fishing. Both are our tradition. So I think we should enjoy both bait fishing and tenkara fishing without prejudice. It is a real genryu fisher. In addition to fishing because being in the great outdoors, we should look at more things like wild grasses, wild birds or may be minerals etc. To look around the things other than fishing makes a margin of anglers mind, and it leads you to further growth as anglers. I tried and have studied many things about the mountains as much as possible. I would like to talk one story of my young days of experience. 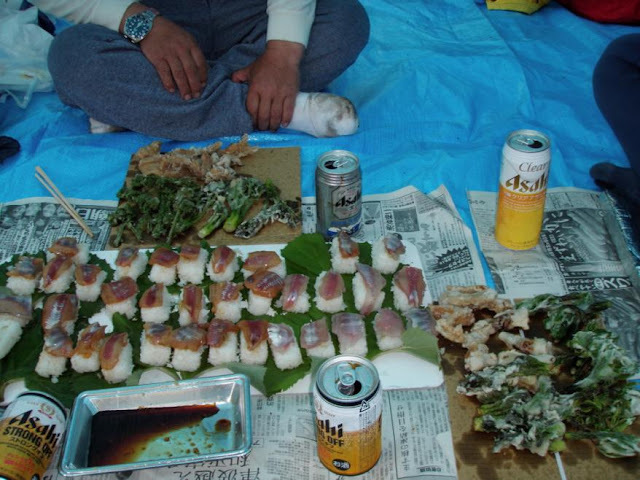 One day at solo genryu fishing camp, I had very hard rain at the temba(camp site) in the mountain. The stream became the swollen muddy stream and I could not move from the temba. The hard rain continued for 2 days. 4th day, the flow of muddy stream became a bit calm down. I only had food for 2 days and had nearly no food at that time. What helped me at that predicament was iwana I fished with bait. The stream was still muddy and can not do tenkara fishing but I could catch iwana with bait fishing using buna-mushi dropped by rain onto fly sheet. buna-mushi is a very good bait for keiryu fishing but it is hard to get them because they live high up in the beech trees normally, but the knowledge as a fisher helped me at that time. You should study the knowledge of bait fishing. It might help you in the future. Let me change the topic here. There is the river that I go as my life work. It is River Yakuwa in Asahi Renpo. It is the very big mountain stream headwater angler longing for and the river to represent Japan. They say there are so many giant iwana in River Yakuwa. I actually have seen up to 80cm iwana there. I am dreaming to catch such giant iwana some day and have been there more than 26 years. In the valley of River Yakuwa has long and steep gorge but passing those areas there spreads wide river-beaches not even imagined and we can freely do Bait fishing and tenkara fishing. The nature of Yakuwa is very severe sometimes but it shows us Great sceneries and blesses us rich graces of mountains and big iwana. There are superb experiences to anglers. I do not know about the streams of Arizona where Adam-san lives, but if you are a crazy about fishing and have a chance, please visit Japan and try River Yakuwa someday in the future. There is everything about genryu in River Yakuwa. Fishing is the luck of the time but I am sure you are satisfied with beautiful wild beech forests and River Yakuwa. In the last place, I wish you a joyful and safe fishing. Good luck with your fishing.